It’s no good following the trends if you don’t feel comfortable when you wear them. I thought I needed a pair of red boots in my life. I tried a few pairs on and each time I felt a little self-conscious. Now that may be that the boots I was trying on weren’t the right style for me, but I also think that if something doesn’t feel quite right on me, I shouldn’t push it and I should just love and admire them on others. 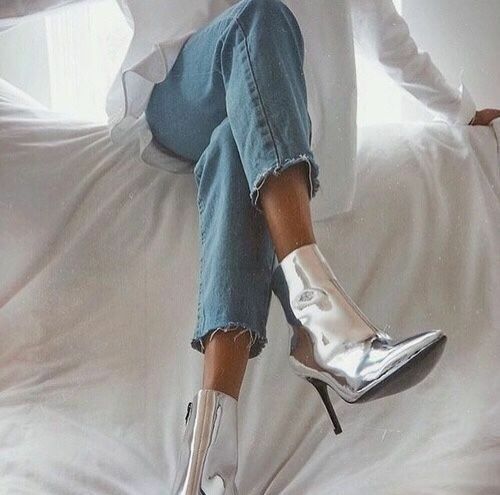 I came to that conclusion about metallic silver boots last year. I was like a magpie every time I saw someone wearing a pair, but when I eventually bought a pair myself, I didn’t have the confidence to leave the house in them. Are you going to wear them with trousers/jeans, dresses or skirts? 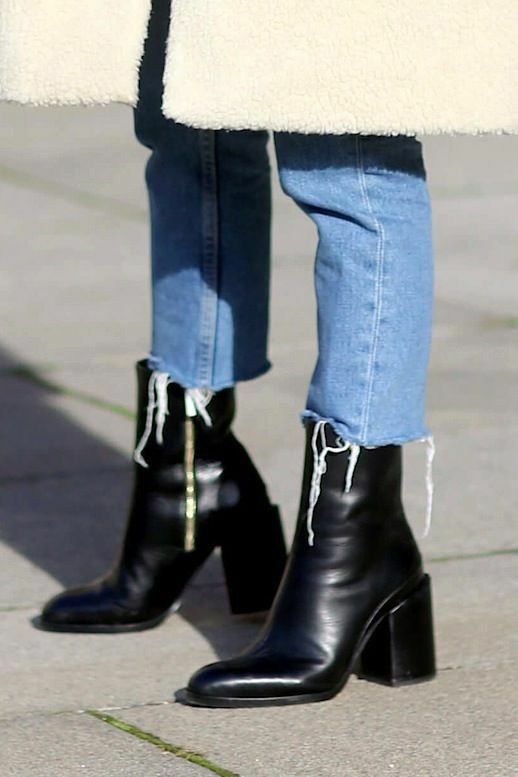 It’s a good idea to try on a few different outfits with your boots to see if they slot into your wardrobe with ease. I have boots that I can wear with jeans but not with dresses and vice versa. If you are wearing them with trousers/jeans, where do you like the boot to finish? 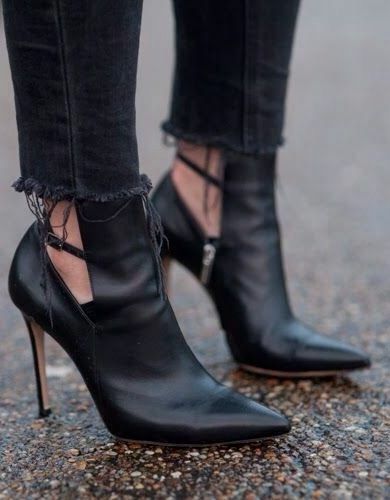 Do you want a little bit of ankle showing or are you someone that doesn’t like showing their ankles and would prefer for the boot to meet the bottom of your trousers? Are you a ‘boots with dresses’ person ? I’m still not entirely confident wearing boots with dresses. If it’s a long dress, I am usually ok, but if it’s midi, knee length or shorter, I struggle. I think it’s something to do with being short that makes getting the proportions right quite tricky. It’s important to find a style that works with your body. I often put boots on and think, oooh they’d be perfect if there were a couple of centimetres shorter at the ankle. Are the boots you’re in a reflection of you ? 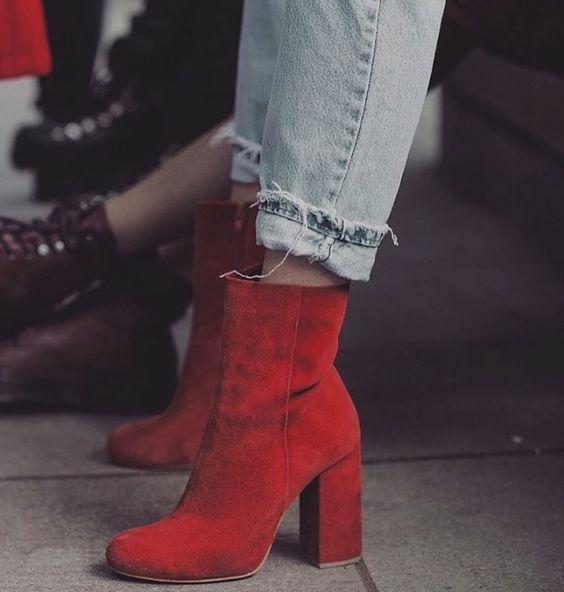 Does your lifestyle suit the boots you love? As beautiful as these stiletto boots are, I know that my lifestyle, on the whole, doesn’t lend itself to a heel like this. And it’s no good having a wardrobe full of things you love but never wear. These are all lovely, if only they were suitable in snowy, icy Oslo!